Being the capital’s highest vantage point, the Observation Deck located on the 74th Floor of Tower 2 at the Etihad Towers Complex, provides an unbeatable and spectacular view of the entire city of Abu Dhabi. The 300 here stands for “meters in the air”. So yes, the viewing tower is located 300 meters above ground. This deck provides a 360 degrees panoramic view of the Abu Dhabi’s skyline, including the Corniche and the Arabian Gulf. The Observation Deck is basically a stylish lounge where you can enjoy the tea while having a view of the entire skyline. This place offers great food- specially the cakes! It is just the place to sit back and relax, and have some comforting time. 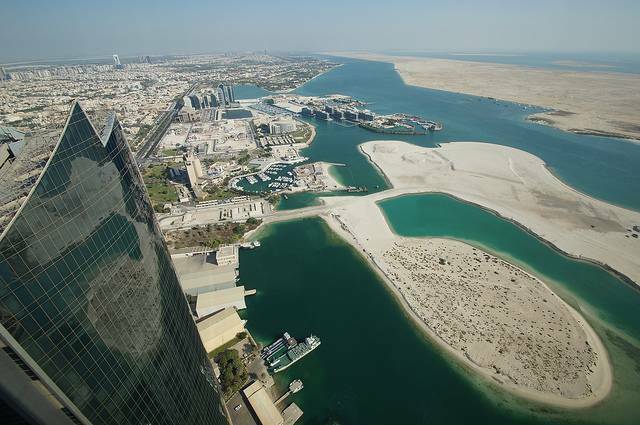 When visiting Abu Dhabi don’t miss out on the place that takes you to the top of the world, literally!